One thing Kingstonians don’t take for granted is our access to beautiful waterfront. We walk, jog and bike along the paths adjacent to Lake Ontario and sometimes sweat through a workout while watching the waves. This adoration for the outdoors aligns with our love for eating al fresco. Yes, we love a good patio. 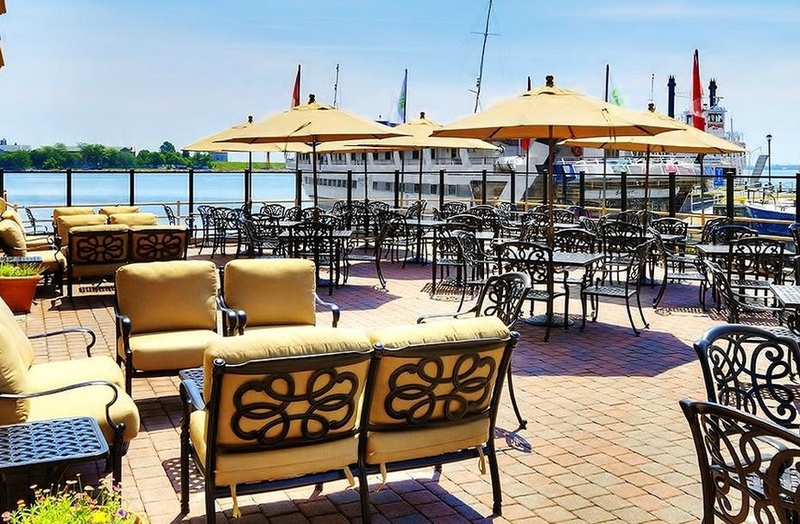 So what’s better than a patio with a view of the waterfront? 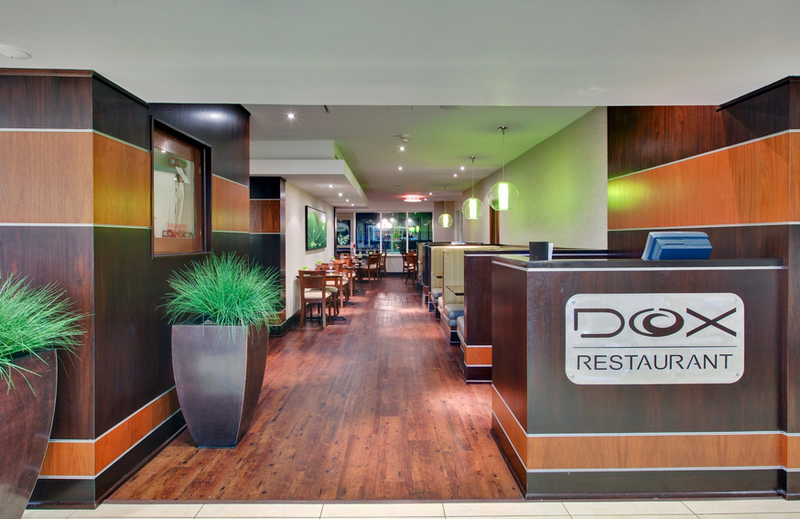 Enter Dox—located in the Holiday Inn downtown Kingston at the bottom of Princess Street—Dox restaurant has a fantastic waterfront patio and awesome barbecue specials to match. 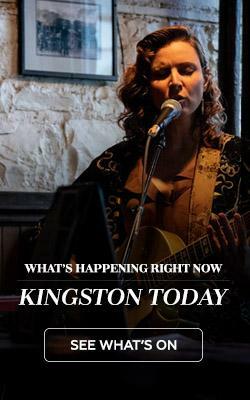 After a rundown of the nightly summer specials by Executive Chef Victor Clementino, I think it’s safe to say that Dox is Kingston’s best-kept secret. 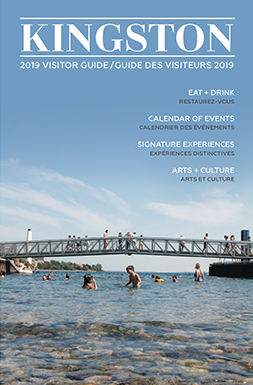 Clementino explains the nightly barbecue specials that are offered seven nights a week in the summer, “Sundays we feature surf and turf—a six ounce new york steak with a skewer of shrimp. Mondays we do a double skewer of shrimp, on Tuesdays we serve a barbecue rib feature, Wednesdays we serve a grilled steak feature, Thursdays another rib (we try to keep a lot of the popular ones in rotation). Fridays and Saturdays it’s barbecued prime rib. All of the features are served with corn on the cob and baked potato, butter and sour cream.” Is your mouth watering yet? While you’re eating on Fridays and Saturdays, a live band is there to add to the summer ambiance from 5 pm-9 pm. I drop in on a Friday night with a couple of hungry locals and try a few of the regulars’ favourite menu items: The chorizo butter shrimp, lobster mac and cheese, mushroom bruschetta, and prime rib. I don’t know about you but I love seafood and I love cheese so between the chorizo butter shrimp and lobster mac and cheese I am in foodie heaven. 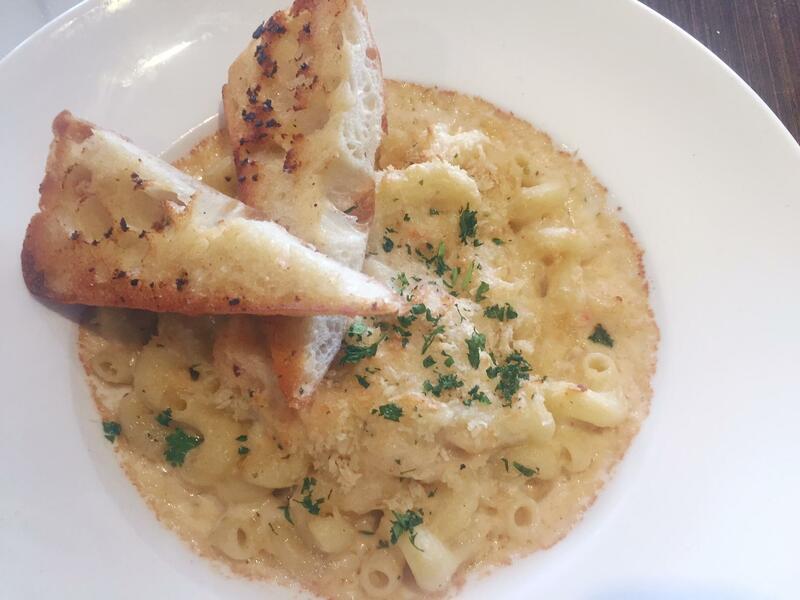 There is a generous serving of crispy baguette with both the shrimp and the mac and cheese that’s perfect for dipping. The mac and cheese is broiled so the top’s crispy crust pairs perfectly with the gooey cheese, noodles and thick bites of lobster meat. 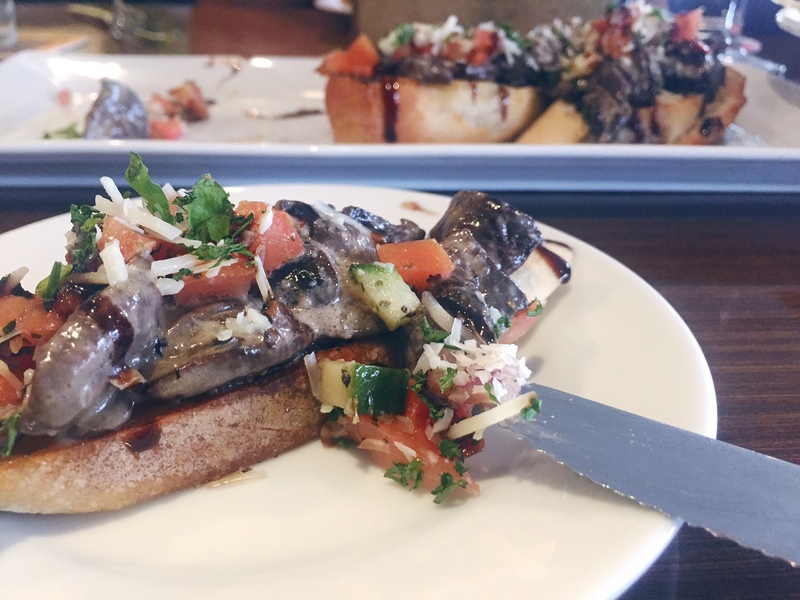 The bruschetta is a crispy baguette topped with creamy, flavourful mushrooms and freshly chopped tomatoes and cucumbers. I love how the fresh tomatoes and cucumbers brighten up the flavours in this dish. 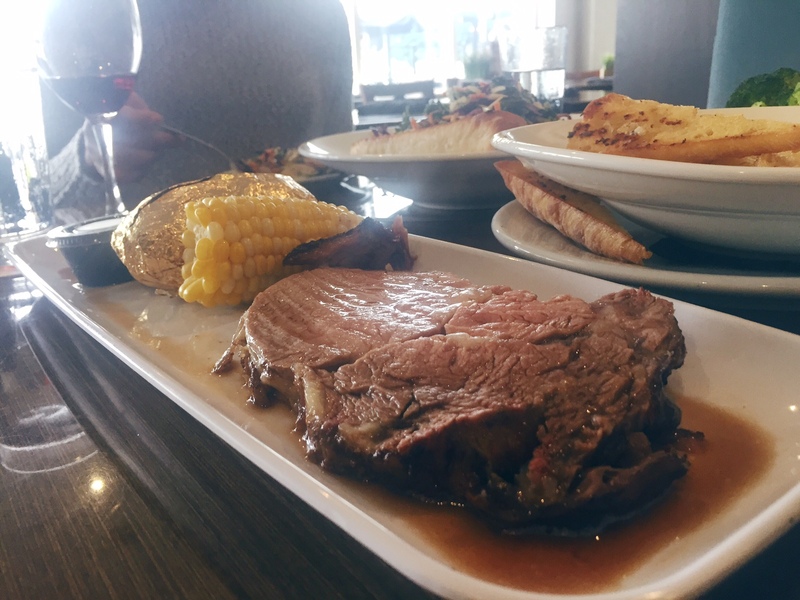 The star of the meal—the prime rib—is a generously juicy serving with au jus, corn on the cob and a piping hot baked potato. I can’t believe it’s taken me this long to discover this gem of a patio with mouthwatering, affordable meals. I know I’ll be back for seconds.